German Kitchens are highly stylish, sharp and beautiful. Come to our Kettering showroom for a full range of installations to look at. We are confident you will find something you have not seen before. 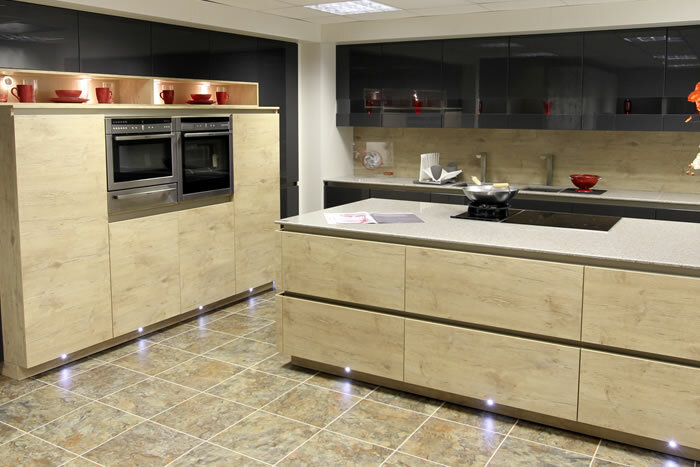 The Wittering West showroom in Kettering has a large range of German Kitchen Designs to touch and feel. The style and quality of german kitchens is truly breathtaking. Our range includes Rotpunkt - one of the finest kitchen makers in the world. If all you have seen is kitchens in your local trade warehouse - then this is the very next place you should visit. If only to be sure you have seen everything that is available. We are confident that you will be amazed by what you see.